A couple of years ago I wrote a post about being a HEN - an anacronym for Happy Empty Nester. I was patting myself nicely on the back and thinking how successful I was in the launching of my chicks and celebrating the joys of the empty nesting box. There were so many aspects of this whole empty nest thing that I was high fiving myself for achieving. Two kids gone, both with university degrees, both in careers they loved, both happily married.....and the list goes on. I was also waxing lyrical on the peace and quiet and satisfaction of having a house to myself with only a husband and a couple of cats to share it with. 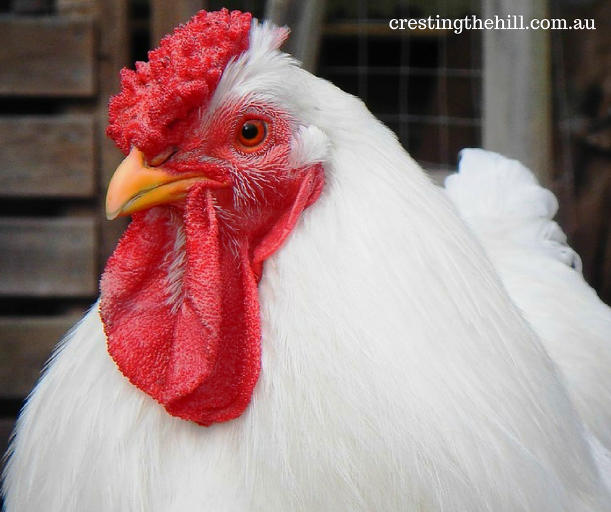 The secret to being a Happy Empty Nester is to focus on those achievements and not let the less-than-happy elements of the empty nest come home to roost (I'm loving all these metaphors and word pictures that relate to chickens). Missing our adult kids is one of the less-than-happy elements we need to keep a lid on. Nobody tells you in the parenting books that sometimes you'll have moments when you want to pack up your house and husband and move closer to your kids. When this thought rises to the surface I have to remind myself that there's no guarantee they'll stay in the same place indefinitely - they might get the perfect job opportunity or want a sea change or whatever and decide to move. I'd hate them to feel obligated to stay because of us, or to feel deserted if they packed up and followed their dreams. Missing your kids is part of the empty nest - it isn't a big part of it, but it's there in the background. I notice it more now that we have a little granddaughter - not seeing her every week is one of those elements that need to be absorbed and accepted. Remembering that when we see our kids and our grandbaby it's for extended amounts of time - rather than an hour here or there - is one of the ways to maintain being a HEN. Learning to re-invent yourself and finding new and interesting people and activities to fill your days is what keeps the life of a HEN on track. So many times I hear women bemoaning the loss of their chicks and how empty their lives are without them. Our adult kids hate hearing this - they are out creating lives for themselves and it's up to us to be doing the same. I remind myself of this whenever things start to feel a bit dull or lonely. I also remind myself that my poor husband can't entertain me all the time - he has a life of his own and can't be at my beck and call. There are decades of life left and it's our responsibility to fill them with things that engage our hearts and minds. They will never take the place of family, but they bring us joy and keep us interested and make us interesting to be around. It's nice to have stuff to talk about when the chicks come home to roost on their routine visits or calls. So, all in all, the Happy Empty Nester tag still hold true. 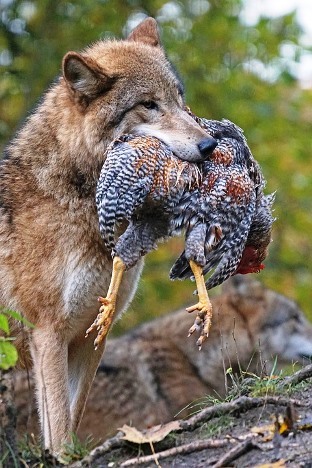 I have no intention of letting the little niggles become wolves in the henhouse. I don't want to be constantly mourning my losses - instead I want to celebrate the successful launching of my kids, the renewing of my partnership with my husband, and the re-discovery of who I am in my own right. There is so much ahead of us - and so much to be happy about. It must be nice to be called HEN rather than an OLD CHOOK. Which is what happens when you get a whole lot older, like your mother! Love your work, another goodie. Thanks Mum :) I'll stick with HEN for now, and woe betide anyone who tries to attach the "old chook" label to me any time in the near future! I like the idea of HEN Leanne although I wasn't sure at first where you were going with it LOL:) I agree with your points and actually have a post about not grieving the empty nest in my August Celebrate Life series. OK, you had me at the HEN picture! I love all the metaphors, and you described everything I feel and believe about the empty nest. Like, how often I'm ready to sell the house and move closer to the kids - and yes, it goes against all logic because I know they might not stay where they are. Then I remind myself that I'm a person in my own right, and I don't need to rely on my husband or my kids to have a full life, and I get on with creating that full life. I'm the same Melody - I swing from "gee I miss the kids" to "gee I love having the house to myself" and back again regularly. It's definitely about filling my life with interesting things so there's no empty gap making me sad. I like your anacronym, Leanne!! What a great way to look at this stage of our life!! Thanks Jodie - I loved it too - and all the metaphors that it fits so nicely with! I guess your boys have each other for support and don't need to move out to widen their social circle at this point. Wait until one of them falls head over heels for some gorgeous girl and the dynamics will change in an instant! A "HEN" - I like it! Miss 20 moved closer to the city recently so we don't see as much of her, but she seems to be thriving and happy so even though I miss her, I'm pleased about that. I miss my kids every day Janet, but at the same time I've come to realize that I can't sit there dwelling on it - if I want to be happy then it's up to me to refill my life while they're off enjoying theirs! I've heard a friend say that she wishes she'd never encouraged her kids to leave - that's really sad because if they'd stayed they never would have realized their potential. Good parenting is about helping our kids to be their best version of themselves and then letting go - tough at times but ultimately rewarding. Just another wonderful example of your positive, 'can-do' attitude! You are such an inspiration! Thanks Diane - although I still envy you having your family all living so close! Nice take on a life without the kids at home!! Mine all are still at home and I know that life is going to be very different when they leave! It changes and I think it's how you choose to handle the changes that makes all the difference Kerrie - you can mourn or celebrate their independence and that's where the letting go part really kicks in - we have to be happy that they're happy. 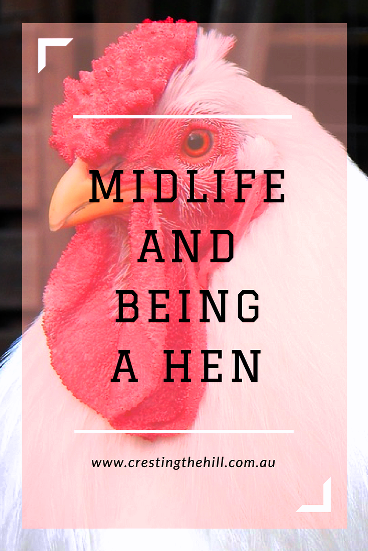 It creeps up on you Leanne and being a HEN beats being a MEN (miserable empty nester) any day - who wants to spend the next 50 years being sad??? Only you could make a hen's life sound great. I love the analogy and the positive thoughts you have shared. I didn't realize you'd escaped having kids - you've just had more practice at the empty nest thing than most of us - and you're definitely right that it's all about staying positive. My mother in law used to call my husband a 'spring chicken!' - now, after her passing they (her children) jokingly refer to themselves as chickens!! I am absolutely in love wit the HEN analogy. You can put a positive spin on anything. I loved this read. I am a proud and happy HEN. Thanks for sharing with us at #BloggingGrandmothersLinkParty. I’ve shared on social media. Welcome to the HEN club Clearissa - it's a nice place to be isn't it? The alternative is pretty miserable - and there are some very sad empty nesters out there unfortunately. So much of the excellent volunteer work in communities is done by empty nesters, too. We finally have the time to reach out to others beyond our own families. Thank you for linking up at #BloggingGrandmothersLinkParty. I’m sharing your link on social media. I think volunteering is a wonderful way to give back and to keep us engaged in our community Carol - I love seeing Midlifers helping out in schools or in aged care - the inter-generational thing is such a bonus. Focusing on the good is the key Leanne and I love your HEN acronym. Thanks for linking up at #BloggingGrandmothersLinkParty. See you at the next one! I loved it too Sue - I think there are a lot of HENs out there - as long as we keep our outlook positive then the empty nest stage is definitely a happy one. Our lives and relationships are so complex, aren't they? Funny how we can feel happy and sad about the exact same thing. Thanks for linking up at #BloggingGrandmothersLinkParty! You're right Christie - hit the nail on the head really. We can be happy and content but still have that little place in our hearts where we miss our kids and having them be a regular part of our lives. Not dwelling on that is the secret to HENdom. I always envy Midlifers who have their adult children living nearby Lori - the joy of seeing them regularly and being part of their lives and part of your grandchildren's formative years is a wonderful blessing. But you're right in that you still need to have other things in your world so you're ready if they move on. 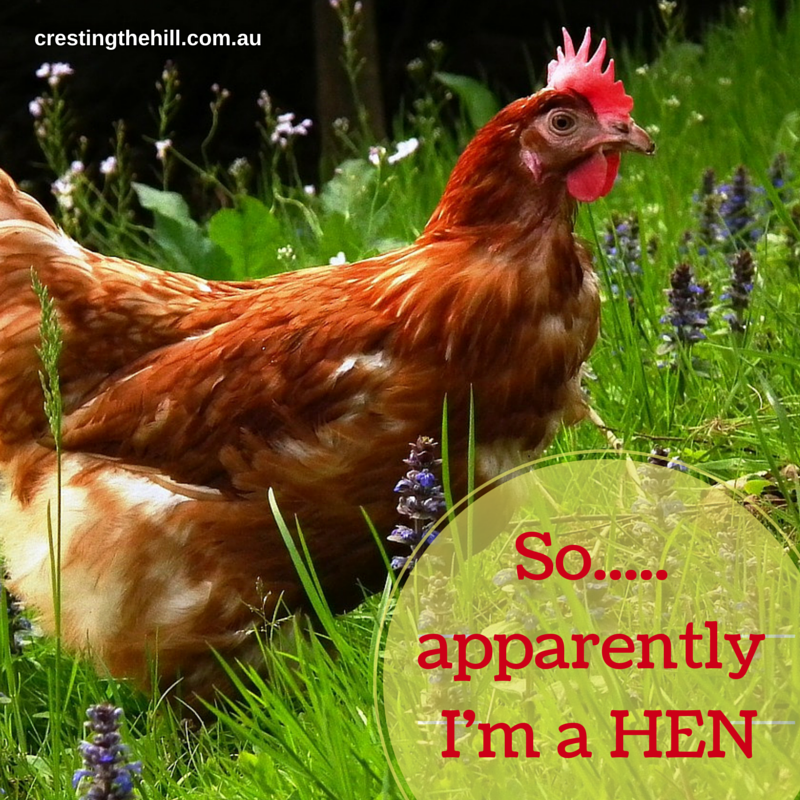 I'm a HEN but wasn't sure what this post was about when I first saw the title!! Thank you Leanne for linking up at the #BloggingGrandmothersLinkParty. I shared your post on Facebook, Google+, Pinterest, and Twitter. Very well stated Leanne! We have the ability to take control of our thoughts and when the negative ones sneak in, we can make ourselves stop and focus on the good. My Mom always said "it's alright to get on your pity pot as long as you get back off". Thank you for linking up at the #BloggingGrandmothersLinkParty. Shared!